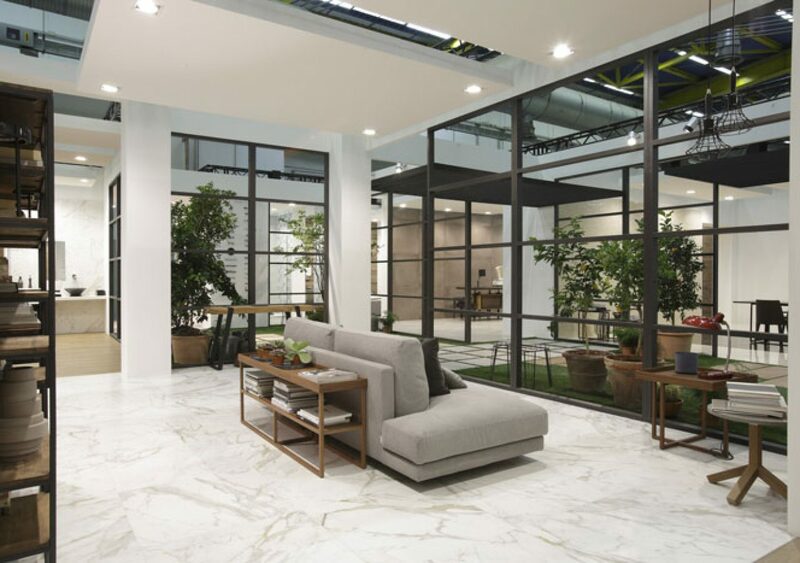 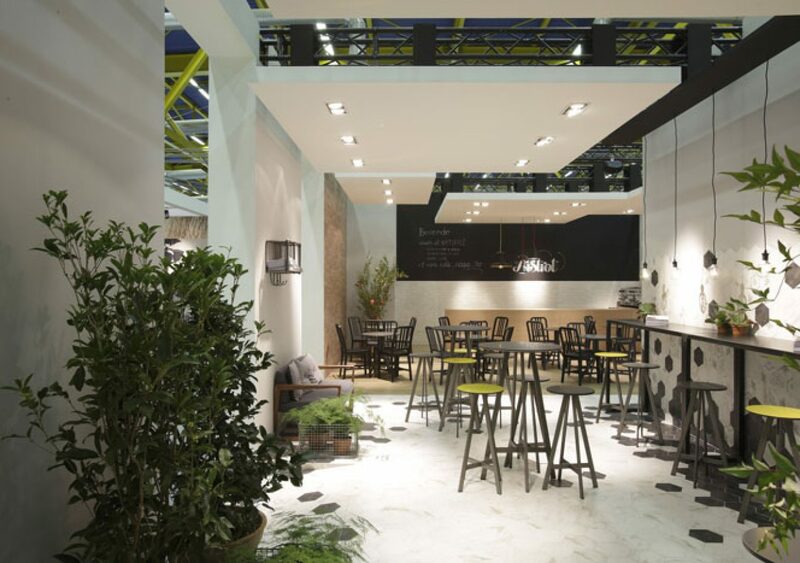 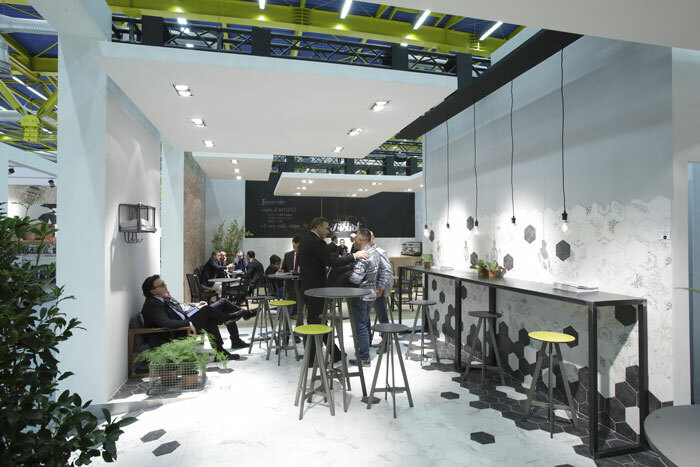 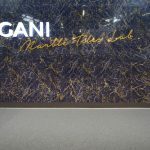 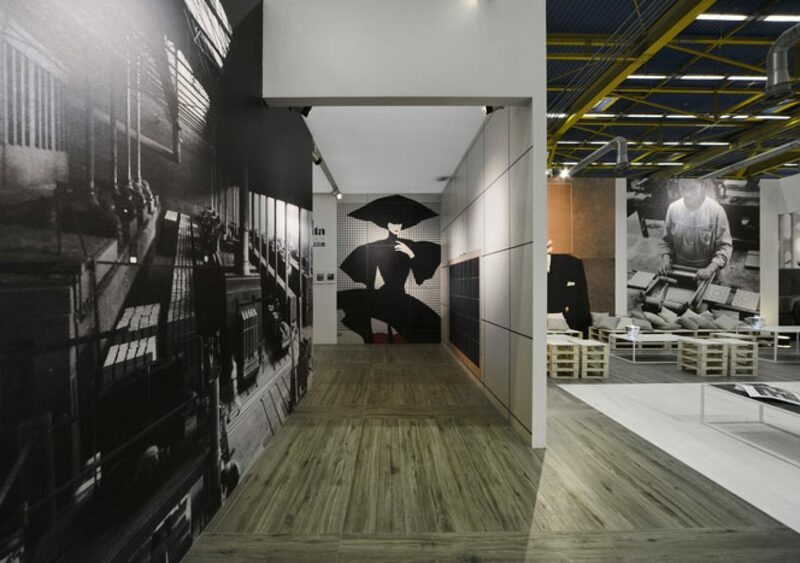 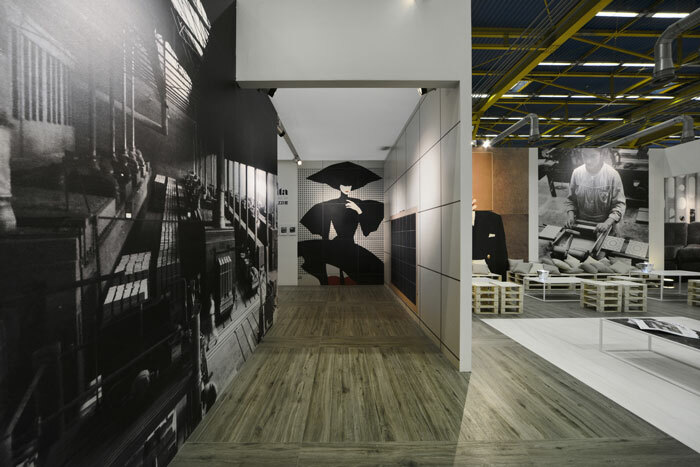 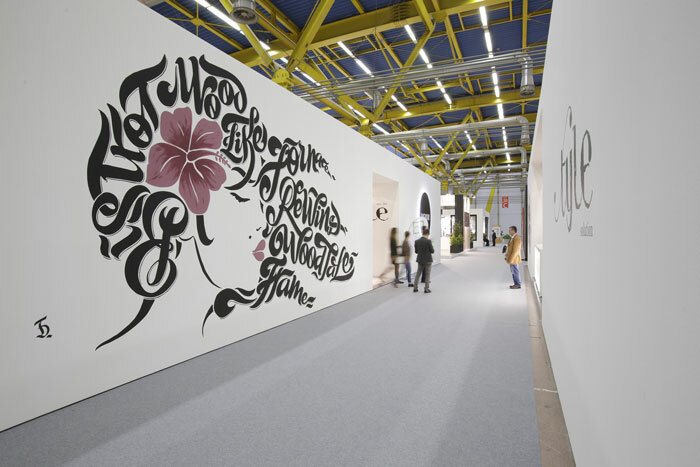 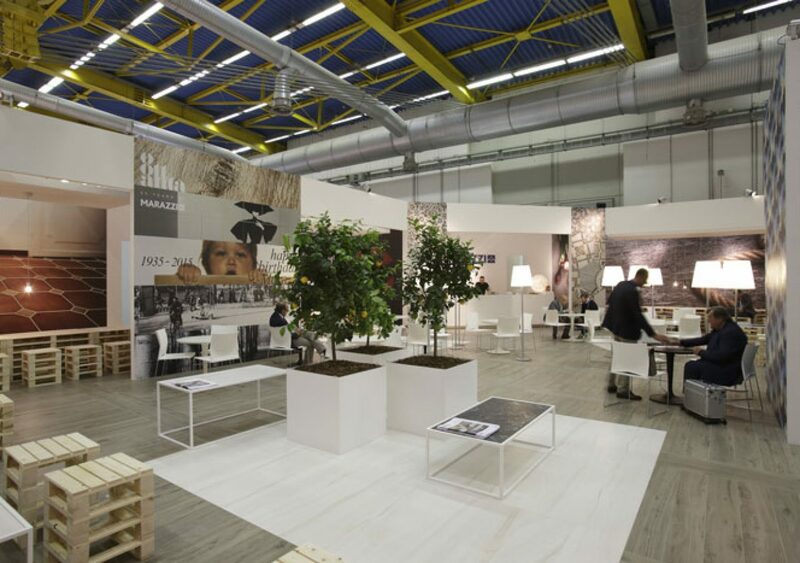 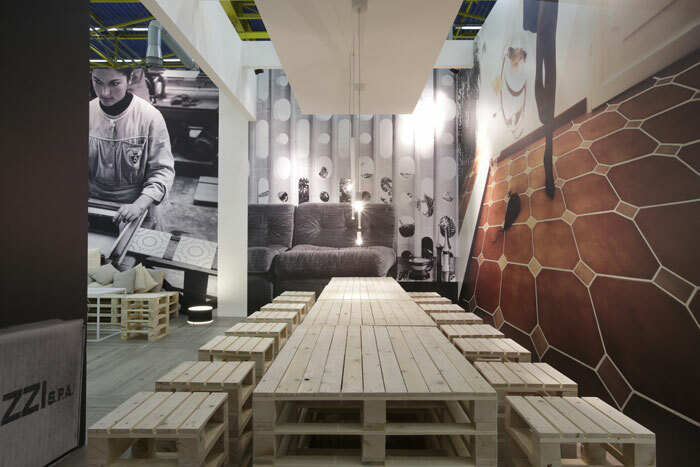 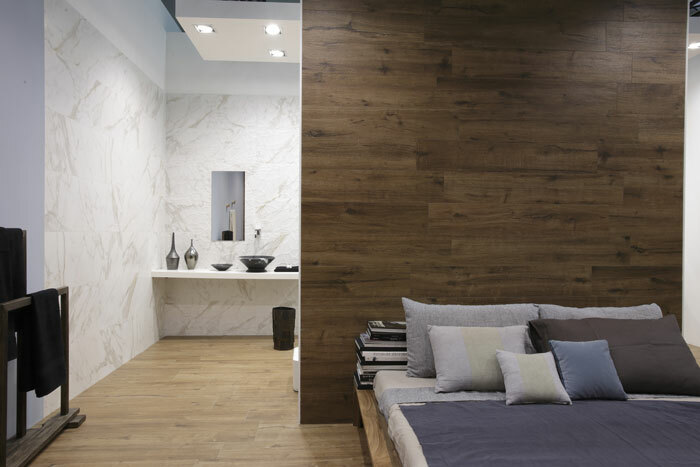 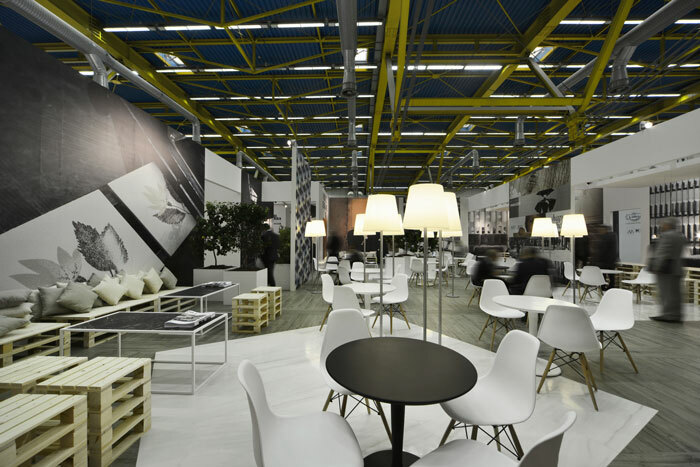 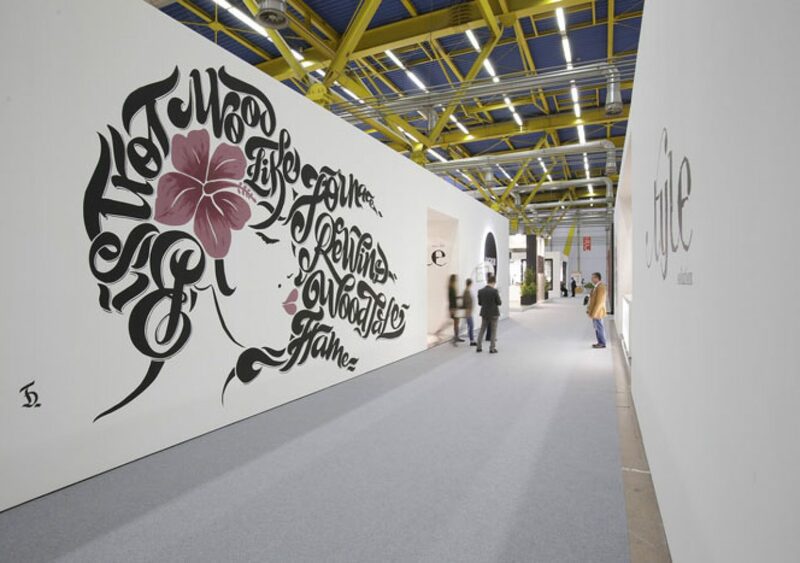 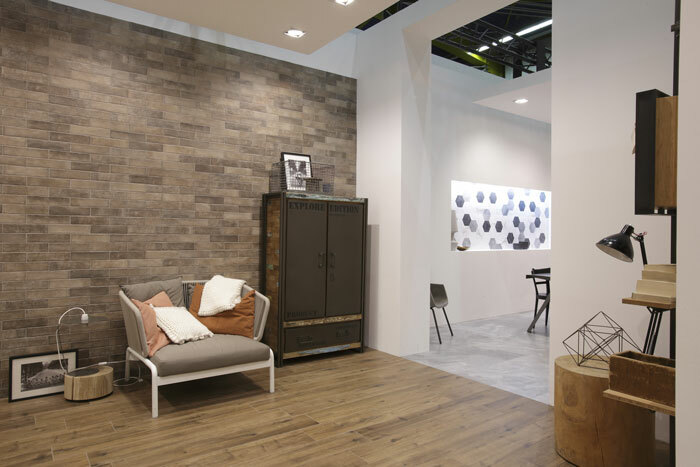 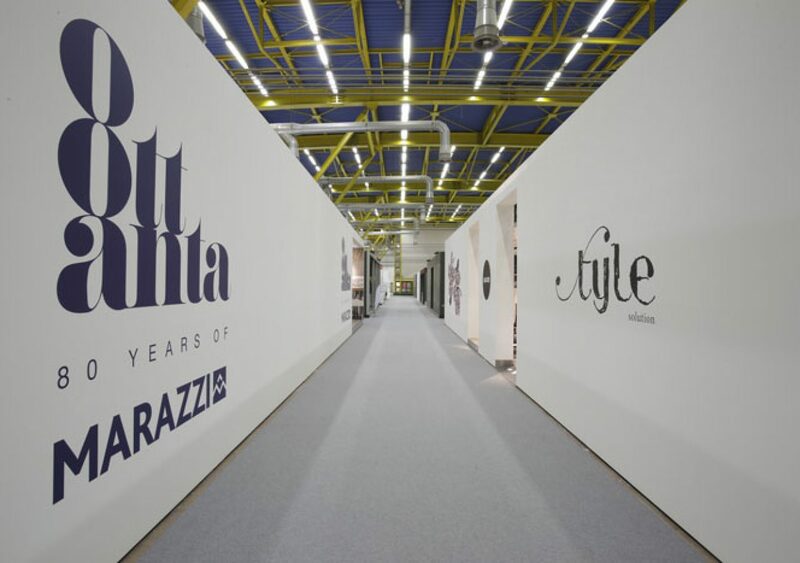 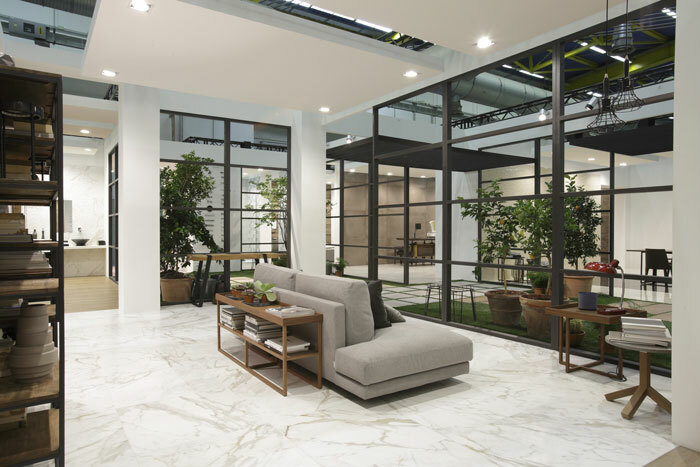 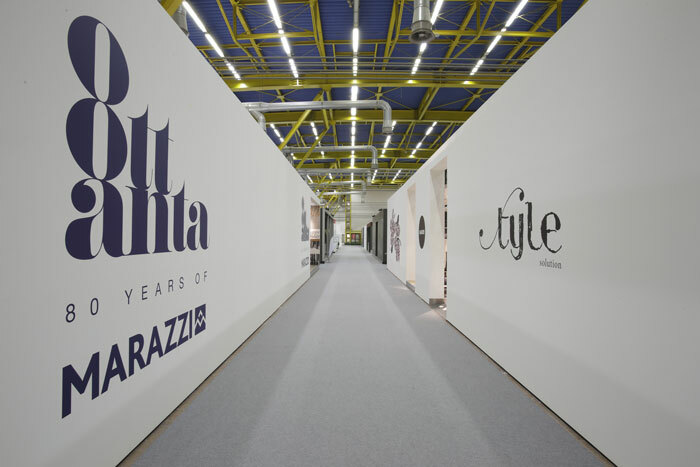 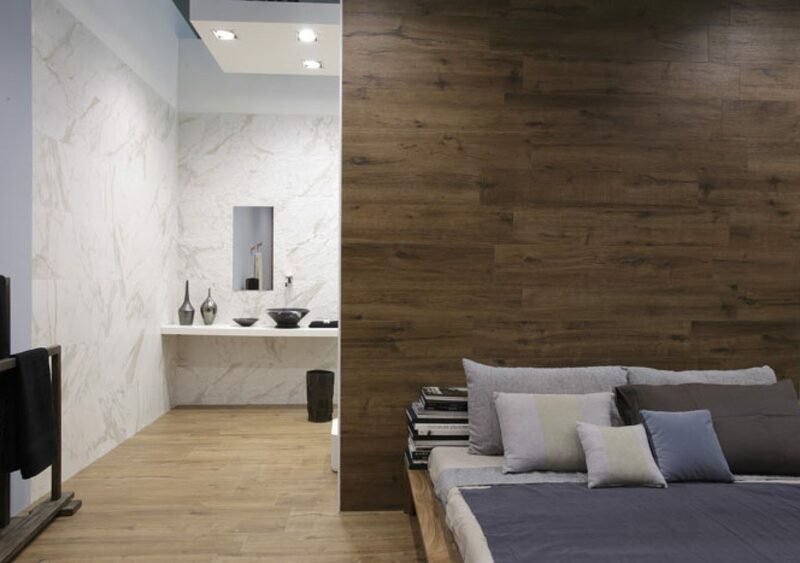 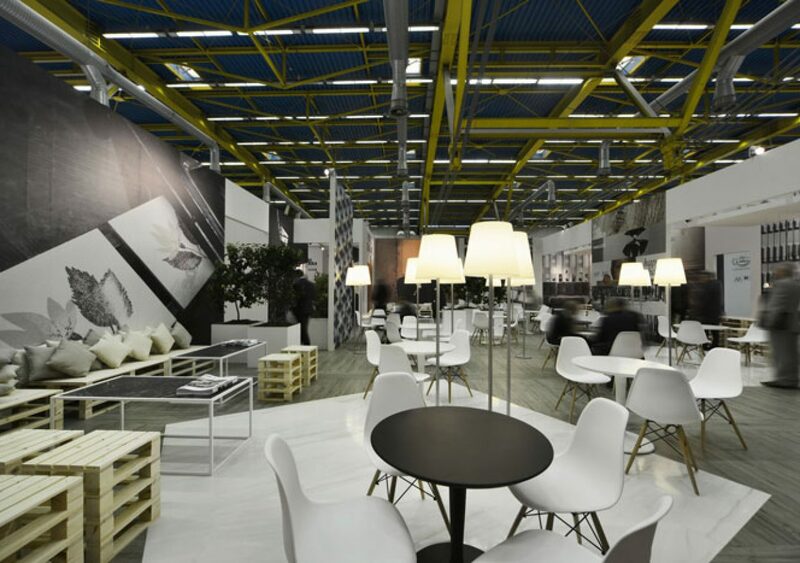 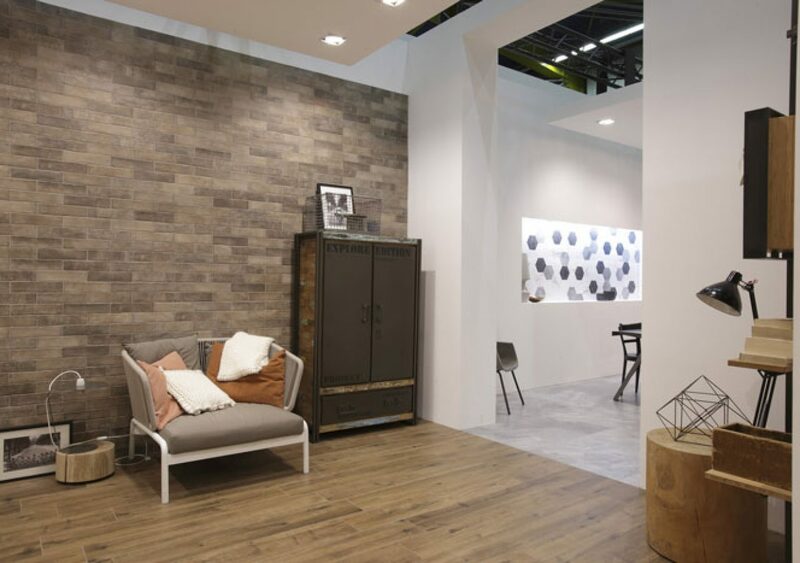 For the first time since the very first Cersaie booth, Marazzi decide to show very few ceramic and create a huge waiting room to host guest before and after taking them to a tour at Marazzi’s factory in Sassuolo (MO). 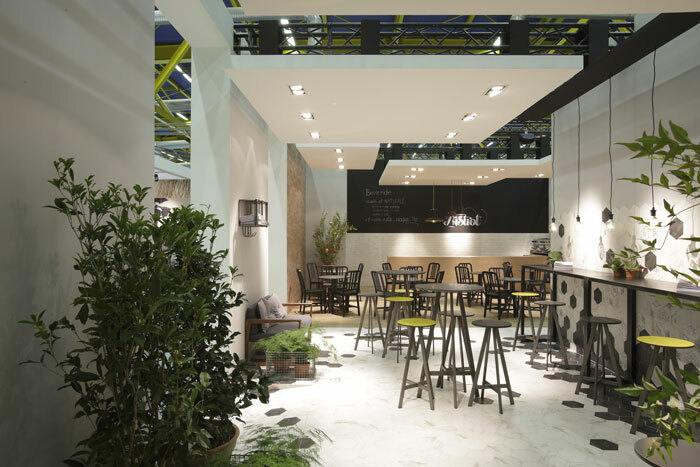 For that occasion we create a VIP lounge that offers a relaxing coffee brack to the people during their waiting. 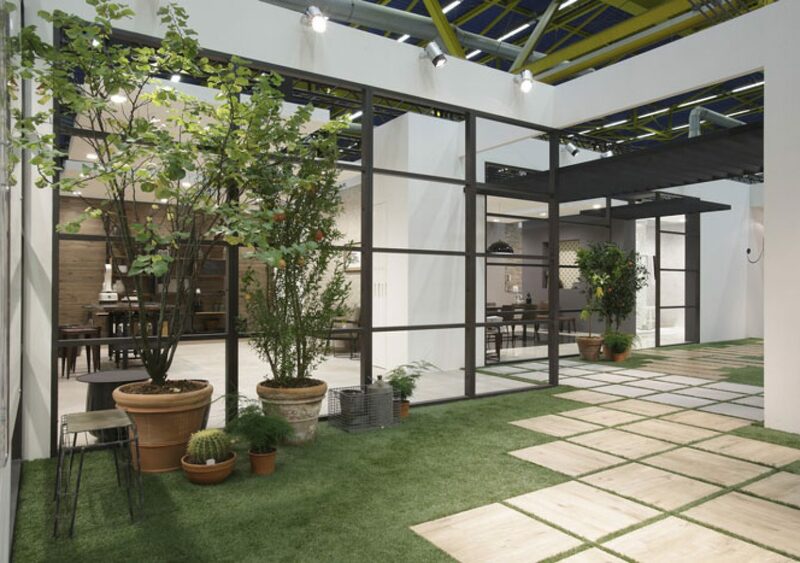 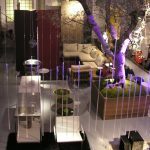 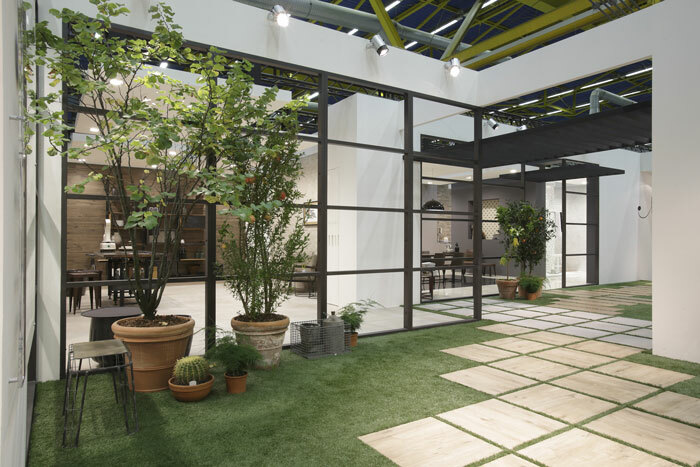 Ragno’s booth continue the home concept, but decline it to loft renovation: though a small tunnel every guest enter into a garden that is overlooked by 3 different apartment, each one with big frame windows that remember an industrial renovation.